I'm excited to be joining the lovely ladies of the monthly Ageless Style Linkup! 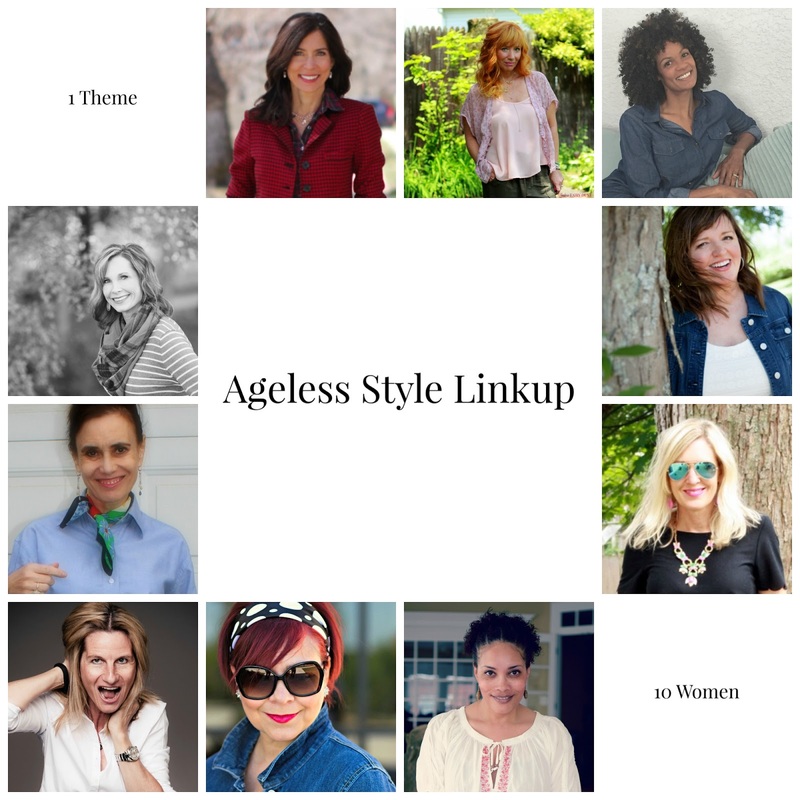 Each month, one of the over-40 bloggers in our group chooses a theme, and we all show different ways to wear it. This month Daenel, from Living Outside the Stacks, chose the theme Pastels. The timing could not have been more perfect because I have been on the hunt for mint colored jeans for almost two years. I finally came across a great pair at Old Navy! They are slightly distressed, have some stretch to them and are really comfy. When I first put this outfit together, I had layered my navy sweater over a white button down, accessorized with a neck scarf and was considering oxfords for a more preppy look. My outfit took a 180-degree turn, and I paired the sweater with a mint striped scarf and my leopard slip-ons for a fun weekend look. 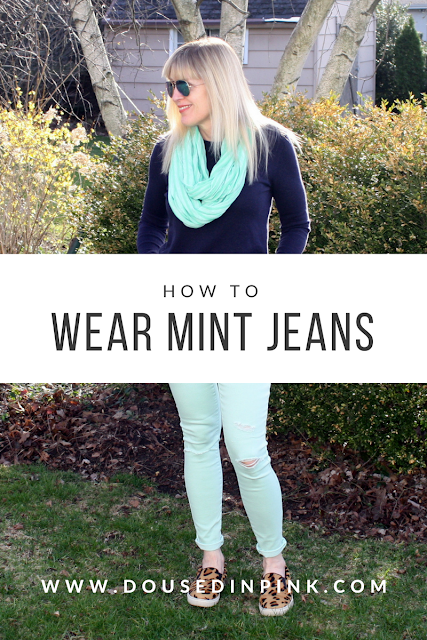 I think these mint jeans will also look great with a coral top as the weather warms up. I can see lots of styling options, and they'll definitely be on repeat all spring and summer! Now on to the Linkup!